The RGDIR7M Iron Label 7-string electric guitar in Laser Blue Matte features a stunning birds eye maple fretboard and slightly longer scale length, perfect for down-tuning. The twin DiMarzio Fusion pickups have been specially developed in conjunction with Ibanez to produce powerful tone without any muddiness. Perfect for thick metal tone, the RGDIR7M also features the super-thin Nitro Wizard wizard neck, meaning it will keep up, no matter how fast you play. Check the RGDIR7M out today in our Glasgow store, Merchant City Music, or buy online for fast delivery to the UK and Europe. We know Ibanez guitars very well here at Merchant City Music, and every one we sell is fully checked over and set up, ensuring you receive the best possible example. 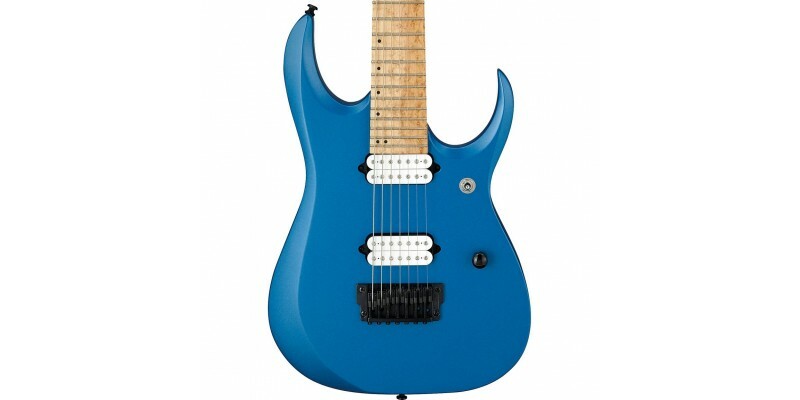 The RGD is Ibanez's ultimate metal machine. The demands of down-tuning require a specifically designed responsiveness not found in "normal" guitars. 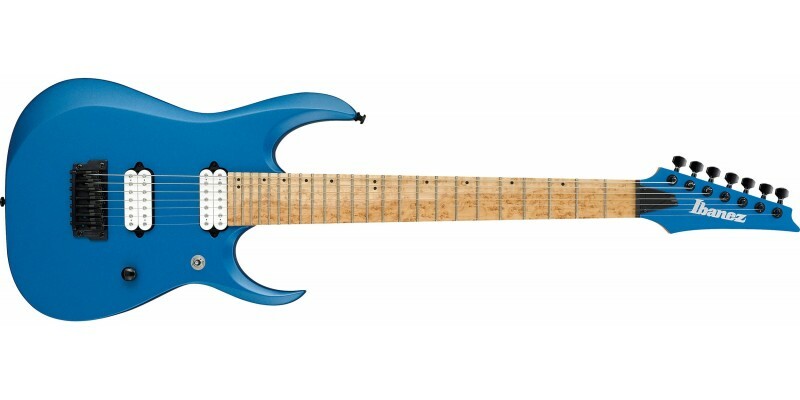 To optimise for the rich, desirable thickness of tone that down-tuning produces, Ibanez extended the neck by one inch to a 26.5" scale; longer-than standard yet not overly long. The neck is still considered a "fast" neck for speed soloing. Extra-deep cutaways grant comfortable access to the necks highest notes.